Arjun Rampal is an Indian supermodel, actor, and a producer, who has performed in a number of Bollywood movies with a role of villain and hero as well. He was born on 26th November, 1972; in the city of Jabalpur, Madhya Pradesh, India. He has performed in many movies like “Rock On”, “Ra-One”,”Houseful” and much more with many Superstars such as Shah Rukh Khan, Akshay Kumar, Farhan Akhtar and so on. Standing 6’1”, Arjun was born to Indian parents Amarjeet Rampal (father) and Gwen Rampal (mother) and has a younger sister Komal growing up. Due to certain reason, his parents got divorced and he had to stay with his mother and attend the St. Patrick School where his mother used to work as a teacher. He completed his graduation in economic from Hindu College, University of Delhi, New Delhi. Arjun was passionate about modeling and successfully pursued his goals by achieving the title ‘Society’s Face Of the Year” in 1994. He married to former Miss India and supermodel Mehr Jesia in 1998 and has two daughters named Mahikaa and Myra. Arjun started his career from modeling and made his acting debut role from “Pyar Ishq Aur Mohabbat (2001). He was well appreciated for his performance and received several awards for his work in the movie including Filmfare Award for Best Male Debut. 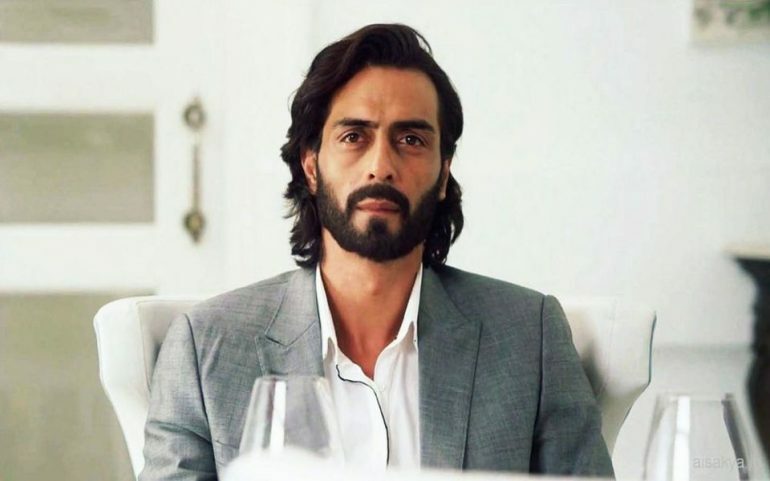 Even though his next movies such as “Deewaanapan”, “Dil Hain Tumhaara”,”Dil Ka Rishta”,”Vaada” was not successful these movies did help him win the heart of many viewers. Later, he had turned around as an actor from the movies like “Don”, “Om Shanti Om”,”Housefull”,”Rock On” and much more. His recent movie “Rock On 2” released on 11 November 2016 which didn’t collected huge amount but Rampal’s work was appreciated by the viewers and critics along. This Versatile actor has won many awards in his career. His debut movie “Pyaar Ishq Aur Mohabbat” in 2001; was appreciated for performance and was actually the one that got him nominated for Filmfare Award for Best Male Debut. Similarly, he has collected different awards such as International Indian film Academy Award, Filmfare Award, National film Award, Screen Weekly Award and Stardust Award. Caption: Arjun Rampal and his car. Arjun has successfully collected as estimated net worth of $45 million. His main source of income is modeling and movies. He is also the brand endorser of famous brands like Alive perfume, Nivea Men, Gillette Brand, Galaxy and some others.